Looking for a month of awesome crafts a large group of special kids in your life? 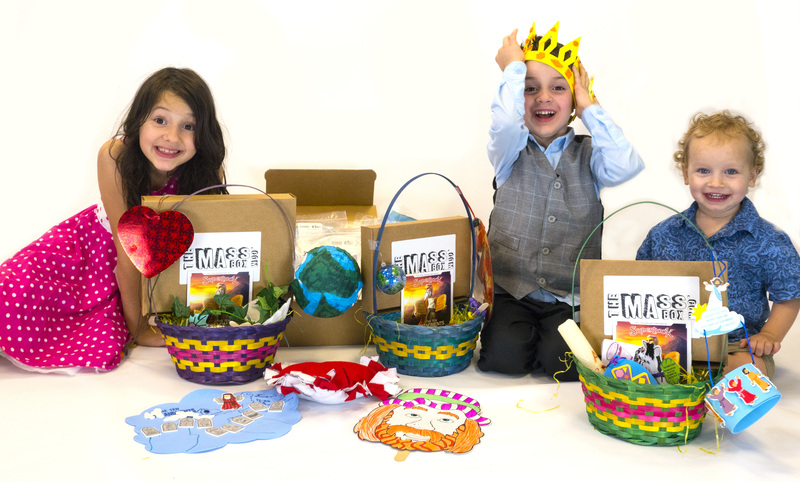 The Mass Box makes a great gift for a First Communion Class, Advent/Christmas presents, a Lent study, or crafts for Vacation Bible School! Just select the number of boxes you need and the month you would like to get the Mass Box for (they will ship the month before between the 15-22). Shipping is calculated at checkout. Select 1 for every 10 units needed. Each box will be packaged individually and includes all the magazines and crafts for the selected month plus a SuperBook DVD, but we're only able to do this bulk discount by sending the boxes all to one location and in the USA only. Please order early for the month you desire! We do our best to fulfil large orders and will contact you if it is not possible, but the earlier you let us know you need large quantity the more likely we can get you exactly what you need! If you need more custom quantities or are outside of the USA, please e-mail us at orders@themassbox.com.